« Owl Kitchen. Or not? Sport! We all know what sport is, but until recently I had no interest in it. “Pah!,” I would say, “away with your sport”. Sometimes I would tut and shake my head. Sport was a mystery to me, something that affected others deeply and yet passed me by. Well, no more. I’ve been bitten by the sport bug. I am a sport man now. What changed everything was a chance meeting with three members of the England cricket team, who not only convinced me of the joys of sport, but recruited me as their new mascot. So, this summer, look out for me as I attend all the cricket games in England, waving at the fans and leading the cricket-ballers onto the pitch. I know what you mean. It’s so exciting to see me alongside those sporting heroes that your brain can’t quite process it, you assume it must be photoshopped or something. But it’s not, it’s a real photo! … Have you always had an egg for a head? Yes. You’d be surprised how few people notice the white outline round my face. Is it because you’re always conveniently positioned in front of a white background? Yes, I’m very careful about that. Now you can see why. It’s not easy on the cricket sport field. So how do you get round it on the field then? I expect most of them are green. There’s not much white in nature. I wear a large ruff, like an Elizabethan gentleman, to give my head a white background. You must really stand out. A regal cricketer. Cricketeer? Crickets person? What’s the correct term? Cricketeer is the correct term. But use “cricketsman” or “cricketswoman” when conversing with royalty. Do any of the other players wear strange items of clothing too so you don’t look as unusual? No, not really. But all things considered, when I go out onto the sportsfield with my white outline around my face, my shorts and t-shirt and my Elizabethan ruff, I don’t think I stand out unless you look very closely. And nobody wants to look very closely at me. I once “watched” a full game of cricket but when I say “watched” I mean I had my back turned the entire time. You might have been playing actually. It was that time on that field. No, you don’t understand. 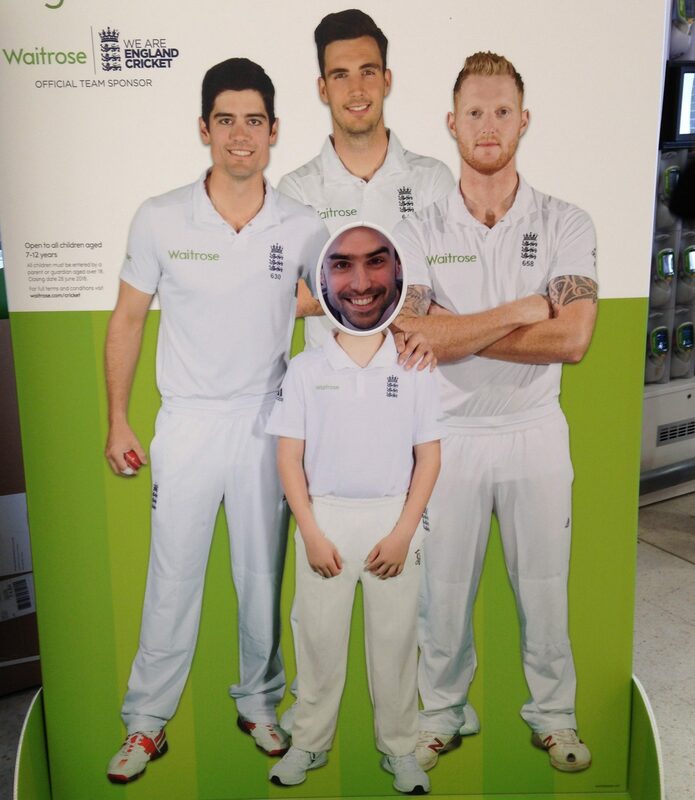 I don’t play cricket, I’m the mascot. It’s arguably the most important job in the cricket troupe. So you’re not a very small person who plays cricket? You’re some sort of charlatan who parades around PRETENDING to play cricket?! No. NO. I am a very small person who LIFTS THE SPIRITS OF ALL PRESENT while cricket is played. You have made me reasonably cross. Are you perturbed yet? Feeling the strain? I almost, for a very small miniscule period of time, thought you were an actual sports person.